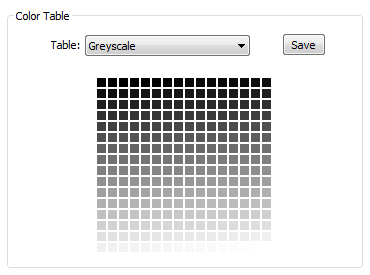 You will see a 16×16 array of increasing shades (256 in total) that defines the colormap.The most direct (but most painful) way to create a new colormap is to click on each of these squares and adjust the colour values, when you’re done click ‘Save’. That requires you to make 256 individual, and smoothly graduated, selections and is rather painful. 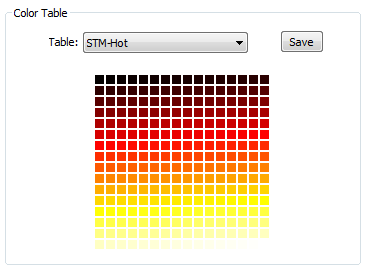 Instead, we can create the necessary colormap using scripting; in this example by using Matlab. 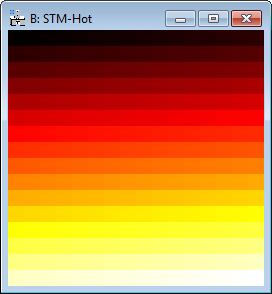 The first thing to know is that DM just stores the colormaps in a hidden folder in the installation as a 16×16 pixel RGB image. Once you know that it’s just a case of creating the right sort of image and storing it in the right place. First, we will use Matlab to create the RGB image we need from one of its in built colormaps. 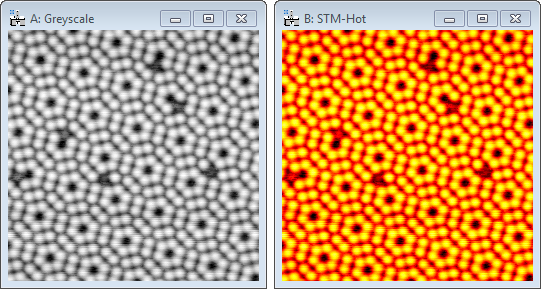 This will give you a colour image file on the disk, as a TIFF, which has the correct properties for the next stage. while replacing **Username** with your own user name. If that folder doesn’t exist you should create it. Select the new colormap and you’re done! The advantage here is, that you can set the CLUT to any image directly in the same script, so you don´t have to store the color scheme locally, if you don´t like. And the following is just a script that can be directly run. An alternative easy way to create simple color maps in DM, is to click the first square (upper-left) and drag your mouse to the final square (bottom-right) before you release the left mouse button. After input a color for the first square and the other for the final square, DM will create a linear interpolation in between these two colors. But your way provides much more possibilities. However I could not see the hidden folder you mentioned. In the file path I only see “Plugins” and “Prefs” even when I changed the setting to show hidden folders.